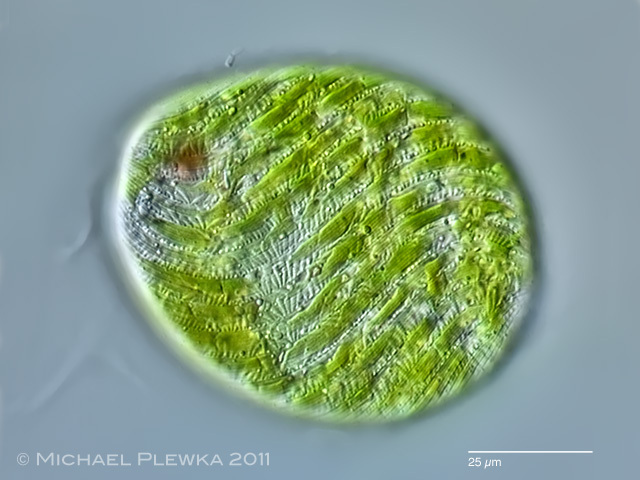 Euglena magnifica; a species characterized by conspicuous spindle-shaped mucocysts along the lateral sides of the cell (marked by arrowheads). 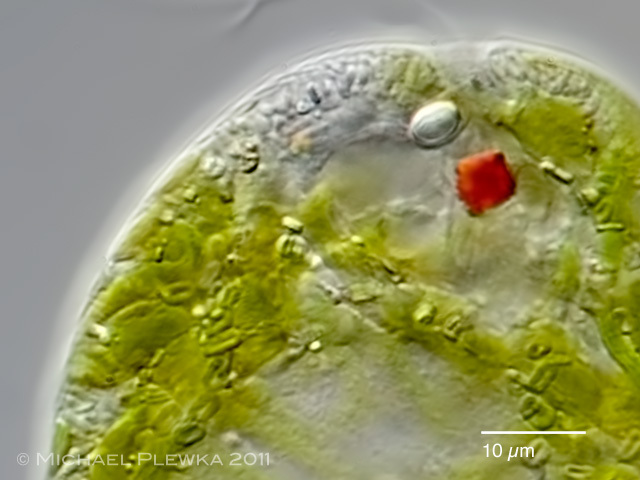 Euglena magnifica; compressed specimen; focus plane on the spindle-shaped mucocysts and the lobed chloroplasts. 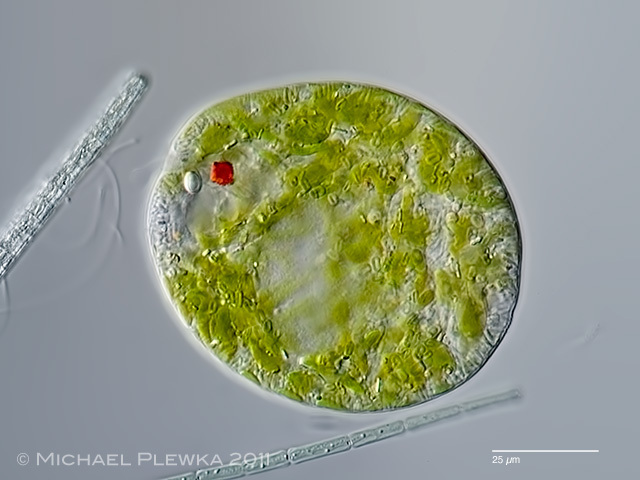 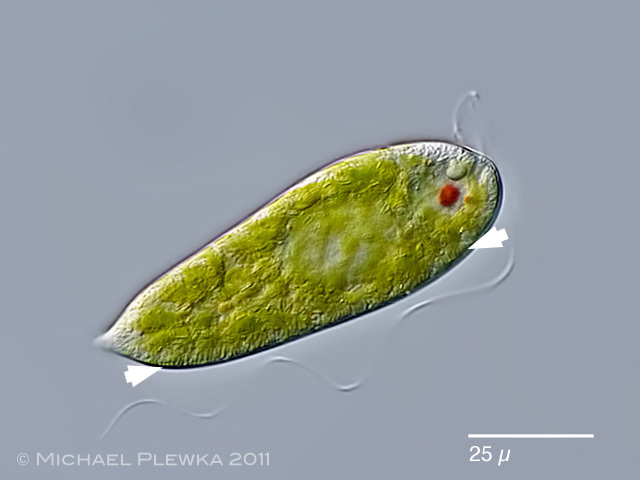 Euglena magnifica; focus plane on the center of the cell with red eyespot and chloroplasts with pyrenoids.